Greenville Army Base Sit-in (Mississippi Department of Archives and History, Archives and Records Services Division [#2-44-1-127-7-1-1])Original photograph scanned as TIFF in 1994-95 by MDAH pursuant to ACLU v. Fordice, 969 F.Supp. 403 (S.D. Miss. 1994); original rescanned as TIFF in accordance with MDAH digital archival specifications for photographs, 2002. Credit: Courtesy of the Mississippi Department of Archives and History. Sit-ins—nonviolent, direct-action protests intended to desegregate lunch counters, restaurants, and other segregated facilities—were an integral part of the civil rights movement in the 1960s in Mississippi as elsewhere. The movement began on 1 February 1960 when four North Carolina A&T students staged a sit-in at a Woolworth’s lunch counter in Greensboro and inspired similar protests across the South as young people mobilized to change their communities. However, such protests tended to be concentrated in urban areas and in border states, and they did not occur with the same frequency in Mississippi as in other southern states. Rural parts of the Deep South were much less affected, and direct action in Mississippi generally tended to favor boycotts and picketing. Still, such efforts by volunteers of the Student Nonviolent Coordinating Committee (SNCC) and local activists in McComb, Jackson, and Greenwood helped to dramatize injustice, garner sympathy, and create a mass movement for racial equality. 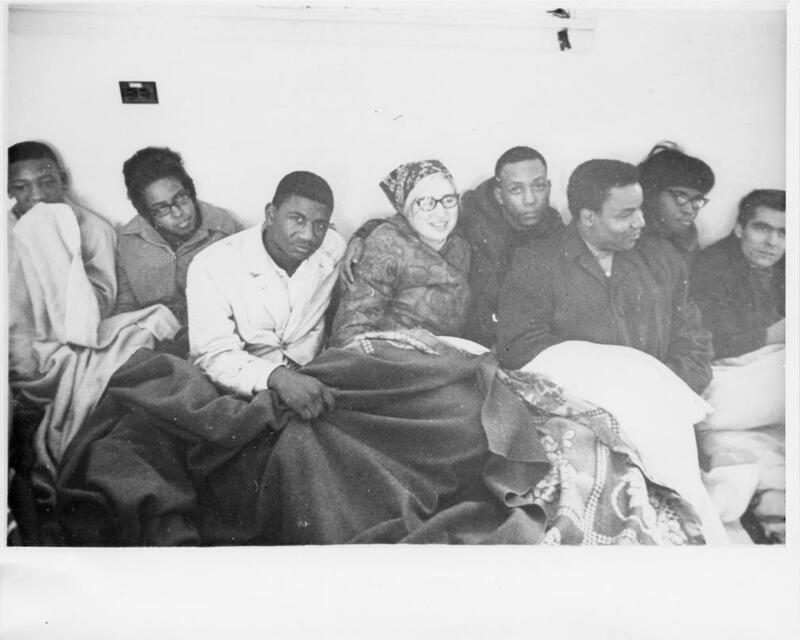 As an aggressive kind of moral suasion, sit-ins not only elicited violent reactions from hard-core segregationists but also often compelled local governments to capitulate to activists’ demands. On 29 July 1961 Curtis Hayes and Hollis Watkins, two eighteen-year-olds who had been attending SNCC-led workshops in nonviolent direct action in McComb, sat in at the local Woolworth’s, the first such action in the area and the catalyst for the nonviolent movement in Pike County. Fifteen-year-old Brenda Travis led five other high-school students in a sit-in in McComb; she was arrested, jailed for thirty-four days, expelled, and sentenced to one year in a reformatory. Direct-action protests slowed in McComb in the face of massive resistance, which included the 25 September murder of Herbert Lee, a farmer and member of the Amite County branch of the National Association for the Advancement of Colored People. Despite the sit-ins, McComb remained as segregated as ever, and the civil rights movement in southwestern Mississippi largely ceased until 1964. The most famous sit-in in Mississippi occurred on 28 May 1963 when students from Tougaloo College conducted a peaceful demonstration at the Woolworth’s in Jackson. Pearlena Lewis, Memphis Norman, and Anne Moody asked for service at the lunch counter. They were joined by Joan Trumpauer, a white student and native Virginian who left Duke University to attend historically black Tougaloo; Lois Chafee, a white professor; John Salter, a young professor of Native American ancestry; fellow students Walter Williams and James Beard; George Raymond, a young activist with the Congress of Racial Equality activist and freedom rider; and A. D. Beittel, the sixty-three-year-old president of Tougaloo. Mercedes Wright, an activist with the National Association for the Advancement of Colored People, and Rev. Ed King, the chaplain at Tougaloo, were also present as observers and supporters of the students, who endured two hours of violent abuse. Counterprotesters, threatened by the “race-mixers” and “outside agitators” in their midst, intimidated and assaulted the students, punching them, kicking them, smearing them with food, and hurling ashtrays and glass figurines. A photograph of the incident, taken by Fred Blackwell of the Jackson Daily News, became one of the enduring images of the civil rights movement. A few days after Pres. Lyndon B. Johnson signed the 1964 Civil Rights Act, Silas McGhee, a high-school senior, conducted a one-man sit-in at the Leflore Theater in Greenwood. His older brother, Jake, went along to watch a movie at the all-white theater and had to fight his way through a mob to get out. Joined by friends, the two brothers began a regular series of sit-ins at the theater. Reprisals included a 16 July kidnapping and beating at a deserted shack, a 25 July shooting incident at the McGhee home, another mob attack on 26 July, and a 15 August shooting incident that left Silas hospitalized with a broken jaw and a .38-caliber slug in his throat. After Silas’s recovery, the McGhee brothers continued to frequent the Leflore Theater, which continued to sell them tickets; as a result, whites began to boycott the theater, and the Leflore went out of business. The McGhees subsequently began to patronize the only other white theater in town, the Paramount, which eventually desegregated. The sit-in idea took other forms, such as “wade-ins” on Gulf Coast beaches and “kneel-ins” at Jackson churches. Opponents of civil rights boycotts participated in what they called “buy-ins” to support white merchants.